There are big differences between House Republicans and Senate Republicans on what to do next about this intractable problem of how to fix the Detroit Public Schools. Under state emergency management for seven years, the school’s finances have only gotten worse. It now looks like the district could run out of money by the end of June. The futures of thousands and thousands of Detroit school kids are on the line. Not to mention, schools will be a critical component of the city’s turnaround. 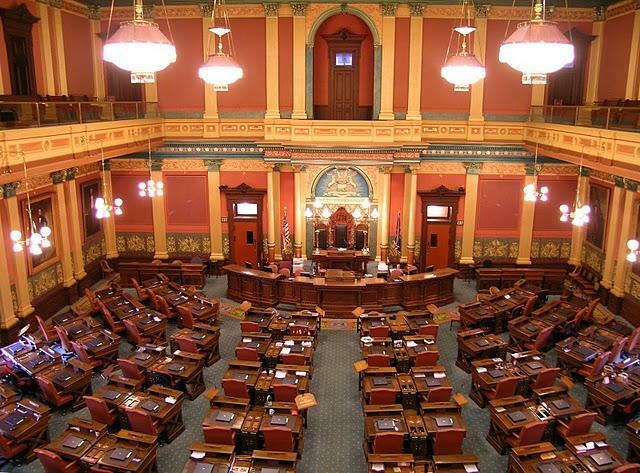 A legacy issue for Governor Rick Snyder and Republicans in the Legislature, who have been running the show in Lansing for the past six years. They’ll be remembered for this, however it turns out. A lot of things have gone wrong with Detroit’s schools and there are a lot of strong opinions about what needs to be done to fix them. This is complicated by the fact that Detroit’s teachers are frustrated by working conditions and givebacks - including loans that took thousands of dollars out of their salaries that were never paid back - and now, the prospect of payless paydays. Teachers in Detroit, unable by law to strike, have been engaging in periodic sick outs that have closed many of the city’s schools. This has enraged House Republicans - who are already skeptical of a delicately crafted bailout plan that came out of the Senate. The state Senate plan has been months in the making. It has buy-in from Republicans, Democrats and the Detroit delegation. And, buy-in from Detroiters is critical. For a plan to really succeed, city residents have got to believe in their school system. But, House Republicans scrapped the Senate effort, and adopted their own bailout plan that took aim at the teacher’s union, and at efforts to contain charter schools in the city. The Senate plan would allow an appointed commission to close low-performing schools - both traditional public schools and charter academies. And that is anathema to charter backers because the whole concept of charter schools is they fail or succeed based on the marketplace. Charter schools have a lot of big backing from big Republican donors. So the sick outs gave the House Republicans clearance to jam through a package on party-line votes that gutted the Senate compromise that would give the city some control over the proliferation of charter schools that also rob the district of per-student state payments, and contributes to the deficit. The House Republican plan would take a big bite out of the bargaining power of the Detroit teachers union. So now, the question is, can the House and the Senate come together? The Senate plan is a compromise; the House plan is more of a bargaining position. We’ll see how this showdown plays out.